The first indicator was a report in The Herald Minister unveils 80 new green energy schemes. It mentions biomass projects and that a scheme to create a carbon-free distillery on Islay would receive grants. Bruichladdich bosses on Islay hope to use biomass, hydro-electric and woodchips to meet their energy needs. Adding to this the already mentioned efforts by Bowmore Distillery to heat the neighbouring swimming pool with waste heat there will be at least two effort of this type on Islay. 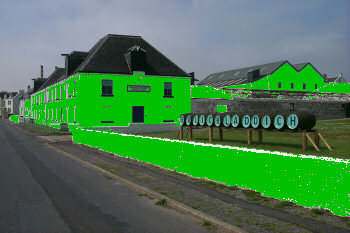 I wonder if there are other things the distilleries can do?